1. 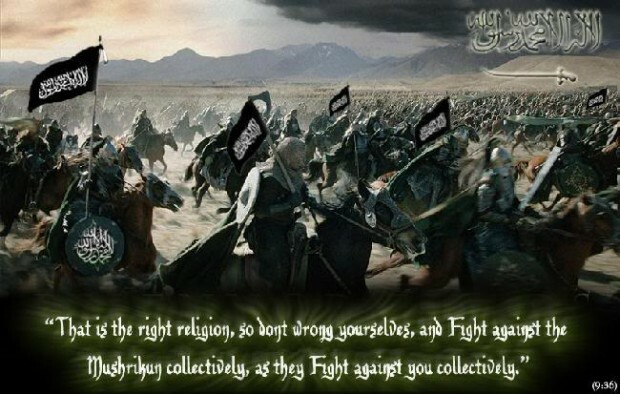 Jihad is not crime, Jihad means to war against non-Muslims and is etymologically derived from the word mujahada, signifying warfare to establish the religion. We treat Jihadists like criminals. They wage war against us. 2. There are some in our criminal justice system who don’t even take the “crime” of Jihad seriously. Case in point: Manhattan Supreme Court Justice Michael Obus. Obus just sentenced Ahmed Ferhani to just 10 years for plotting to blow up synagogues in the New York area. This was the outcome of a plea deal negotiated by Manhattan District Attorney Cyrus Vance, Jr. Ironically, Cyrus Vance, Jr. is the son of Cyrus Vance, who was Secretary of State under Jimmy Carter and resigned in protest when Carter authorized the mission to attempt to free American hostages held in Tehran, Iran back in 1980. Vance, Jr. is a little bit better than Judge Obus; he at least asked for a 14-year sentence. Obus handed down the 10-year sentence with the comment that Ferhani would almost certainly be deported upon release. This is bad policy. Ferhani could have been sentenced to 32 years in prison. Sentencing him to less than a third of that is a disservice to the entire country. Passing down a light sentence based on the expectation that our bureaucratized counterterrorism apparatus is going to take care of matters in the end is a recipe for failure. Committed Jihadists are not good candidates for rehabilitation. Just look at the recidivism rates of former Gitmo prisoners: Upwards of 20% rejoin violent Jihad. Laws involving terrorism need to be strengthened. Jihadis need to be locked away for good. Is there a viable argument against life sentences for plotting to commit terrorist attacks that could result in the deaths of scores of innocent lives?